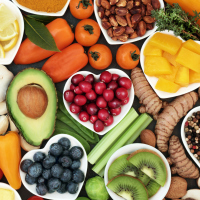 A plant-based diet is needed to protect future generations and safeguard the wellbeing of the planet, according to experts. Scientists claim a massive dietary shift from meat to healthier, more sustainable vegetable-based consumption could prevent 11 million premature deaths per year by 2050. It would also reduce the damaging impact of climate change, including soil erosion, deforestation and the growing loss of biodiversity. Researchers say this would require consumption of red meat and sugar to at least halve, while intake of nuts, fruits, vegetables and legumes would need to double. By 2050, the world population is expected to reach 10 billion - but Earth has finite resources for food production. Current diets, with a growing emphasis on Western-style high calorie foods laden with saturated fats, are pushing the planet beyond its natural boundaries, while causing ill-health and early death, the researchers say. Daily poultry consumption would be confined to 29 grams - equivalent to one and a half nuggets - and fish to 28 grams, a quarter of a medium sized fillet. Eggs would be restricted to around 1.5 per week. The EAT-Lancet Commission brought together 37 experts from 16 countries specialising in health, nutrition, environmental sustainability, economics and politics. "We need a significant overhaul, changing the global food system on a scale not seen before in ways appropriate to each country's circumstances. While this is unchartered policy territory and these problems are not easily fixed, this goal is within reach and there are opportunities to adapt international, local and business policies. If you're heading off on holidays during 'Veganuary', check out our dedicated last minute travel insurance options.